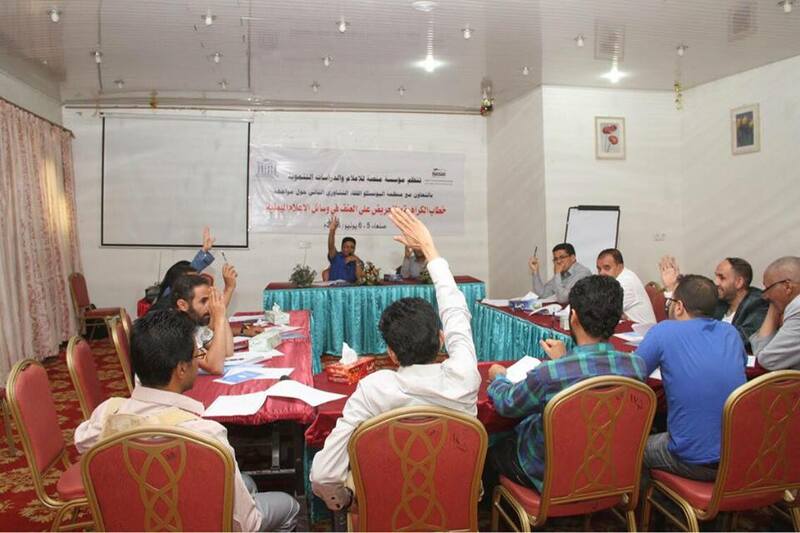 Sanaa, June 6- In cooperation with UNESCO and the International Programme for Development of Communication (IPDC), Mansa Foundation for Media and Development Studies concluded on Wednesday the second consultative meeting as part of countering hate speech in the Yemeni media project. The two-day meeting participants approved the lexicon of hate speech and the anti-hate speech declaration which contained a number of professional principles to promote the values of tolerance, coexistence and acceptance of the other as well raising the professional values of the media and denouncing hate speech and violence incitement. The meeting participants praised the contents of the project, saying the project was reflected positively on their media discourse and that they will strive to abandon the seditious and divisive language in their media outlets . The participants also hoped that such activities will continue to help create an anti-hate speech media to solidify the values of coexistence, tolerance and acceptance of the other.